Mr. Abdul Khalique Sial, Incharge PASTIC Sub-centre Quetta, gave briefing about PASTIC S&T information services. 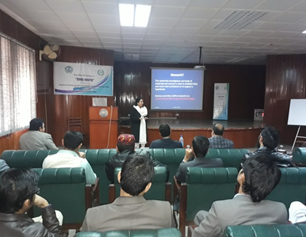 Over 50 participants including scientists and other officials of G.S.P attended the workshop. 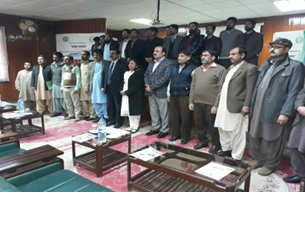 Mr. Adnan Alam Awan, Director (P&I) G.S.P, the Chief Guest at the closing ceremony, distributed the certificates and shields among the participants, resource person and organizers. Mr. Abdul Khalique Sial, Incharge PASTIC Quetta delivering lecture on PASTIC / PSF Services. 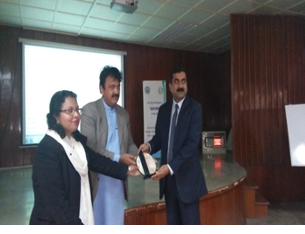 Mr. Adnan Alam (Director P&I), Geological Survey of Pakistan, Presenting Shield to Resource Person. 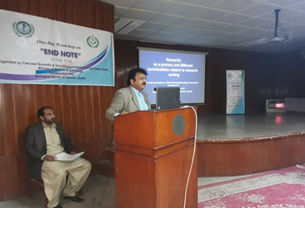 Dr. Umbreen Shaheen delivering a presentation on "ENDNOTE".